Trinseo (NYSE: TSE), the global materials company and manufacturer of plastics, latex and rubber, will feature its biocompatibility-tested resins at COMPAMED 2015 in Dusseldorf, Germany at Hall 8B, Stand 8B L39 from November 16 -19. MAGNUM™ 8391 MED ABS Resins: medical grade resins produced with mass polymerization technology for superior lot-to-lot consistency and an exceptional white base color. This material has been fully biocompatibility tested according to ISO 10993 standards. EMERGE™ 9500 CR Advanced Resins (EMERGE™ 9000 CR Series): polycarbonate compounds with advanced chemical resistant technology that withstand aggressive cleaners and disinfectants common in a healthcare environment. These materials have been biocompatibility tested according to ISO 10993 Part 5 and Part 10 standards. During the show, the company also plans to announce its production and fulfillment model for its medical business in Europe and Asia Pacific that has been successful for nearly three decades in North America. With the new model, Trinseo offers custom compounding in its three primary regions with polycarbonate base resins coming from Trinseo’s highest quality, medically-equivalent resins produced in its clean room facility in Germany and by its joint venture partner in Japan. 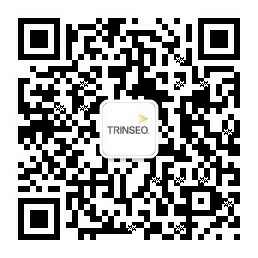 Trinseo’s premier manufacturing and compounding resources are part of its new global production and fulfillment strategy. These resources adhere to common quality management systems and the same global notification of change policy for optimal consistency and reliability in the resins. To arrange a meeting with the company contact Paula Biskup, global business communications manager. Trinseo is a leading global materials company and manufacturer of plastics, latex and rubber, dedicated to collaborating with customers to deliver innovative and sustainable solutions. Trinseo’s technology is used by customers in industries such as home appliances, automotive, building & construction, carpet, consumer electronics, consumer goods, electrical & lighting, medical, packaging, paper & paperboard, rubber goods and tires. Trinseo had approximately $5.1 billion in revenue in 2014, with 19 manufacturing sites around the world, and approximately 2,100 employees. More information can be found at www.trinseo.com. Formerly known as Styron, Trinseo completed its renaming process in the first quarter of 2015.